2013 has been a good, long year that’s coming to a close. In keeping with the season, many will be breaking out their New Year’s resolutions tonight and tomorrow (we hereby resolve to publish our Best of 2013 lists). The gargantuanally-gifted and large-hearted Warren Zevon left us some rousing resolutions before he passed ten years ago (“Enjoy every sandwich,” etc.). One of our favorite Zevon song-resolutions is found in his effective adieu, the affecting Mutineer. In addition to lauding sincerity and free-thinking (which seem to be in dwindling supply these days), the song thematically speaks to hopeful love during cataclysmic times. If these aren’t cataclysmic times, we don’t know what are. To put you in the proper mood for the New Year, watch below as Jason Isbell (who had an outstanding 2013, appearing on many Best Album of 2013 lists with his superb Southeastern album) and Amanda Shires beautifully cover Mutineer. 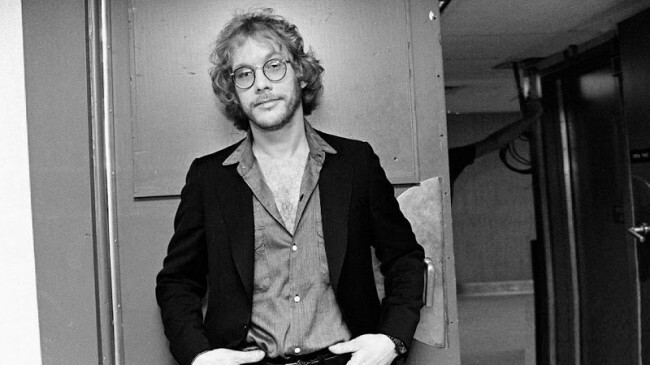 Below it watch Zevon’s stirring performance on the Letterman Show not long before he passed. May you be filled with hopeful love in 2014. And may you float on. The song’s lyrics follow the videos below. It’s cinema season post-Christmas, and last night we caught Ben Stiller’s The Secret Life Of Walter Mitty. While the film is worth seeing (perhaps not your first choice amongst the other outstanding options currently screening), what grabbed our attention most were the film’s outstanding songs performed by José González (Junip). While his Junip ensemble produced one of our favorite albums of 2013, González’s solo work on this new film is also outstanding. To sample, first check out Step Out below, with its grandeur and anthemic qualities that would not be out of place on an Arcade Fire album. The track also features St. Vincent’s Annie Clark. 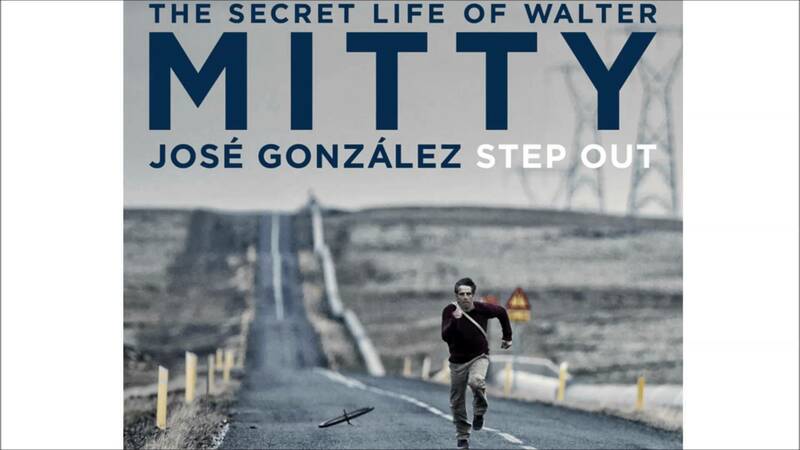 After, listen to a more typical González offering with the video for Stay Alive in which González plays Walter Mitty. It’s a beauty penned by Ryan Adams. The world is going gonzo for José González. 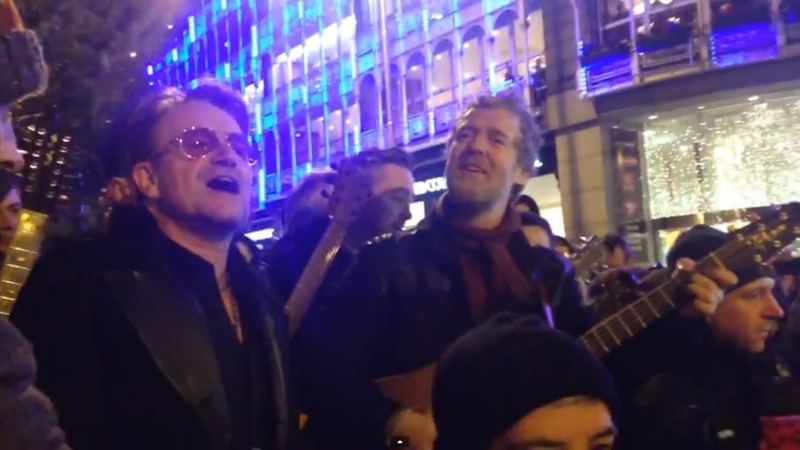 In what has become an annual event, Bono and the great Glen Hansard appeared on the streets in Dublin on Christmas Eve, and sang Slade’s Merry Xmas Everybody and Oh Come All Ye Faithful below (via Stereogum). Sometimes it takes us a whole year (or longer) to completely catch on to greatness. Take, for example, John Murry who is a Mississippi-born, San Francisco-centric singer who this year finally released his debut album, The Graceless Age. Graciously, it is appearing on many Best Albums of 2013 lists around the globe (and which, in all honesty, served as our wake-up call). The album tells the tale of Murry’s move to California a decade ago and his subsequent decent into near-deadly drug addiction. One of the best songs on the album is the soul-encapsulating single Little Colored Balloons, which recounts Murry’s overdose at “16th and Mission,” during which time he was declared clinically died. Murry sets the insidious spiral scene sparely and oh so well: “saran wrap, little colored balloons, a black nickel, a needle and a spoon.” Watch Chuck Mobley’s nostalgia-laden video (taken from public domain sources) for the song below. It’s a beauty, the song is justly showing up on a lot of Best Songs of 2013 lists. The song and album have been particularly well-received in the UK, but also here (the respected American Songwriter has it in its Top 5 Albums of the Year). 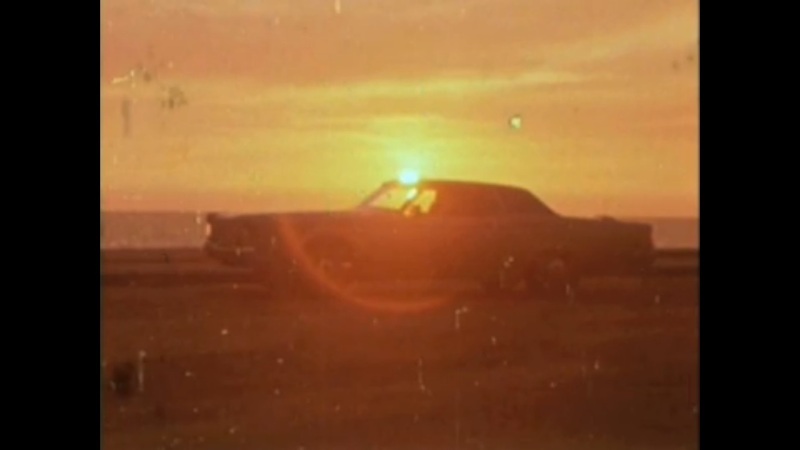 After, watch the official video for another great song off the album, California. It’s the Holiday season and cynicism is everywhere. We get it. We’re not immune. But surely there must be an alternative. We’d propose a dose of Elbow. 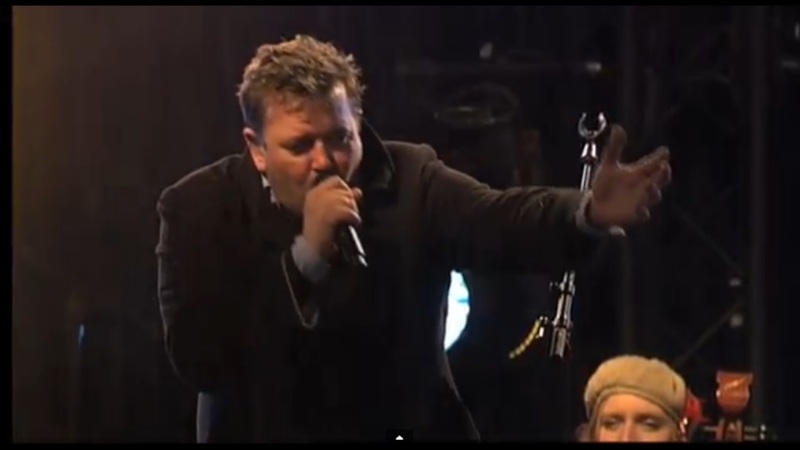 Watch below as the band performs their ebulliently majestic One Day Like This two Decembers ago in the freezing cold of Leuven, Belgium. Holy cow and holy crap! 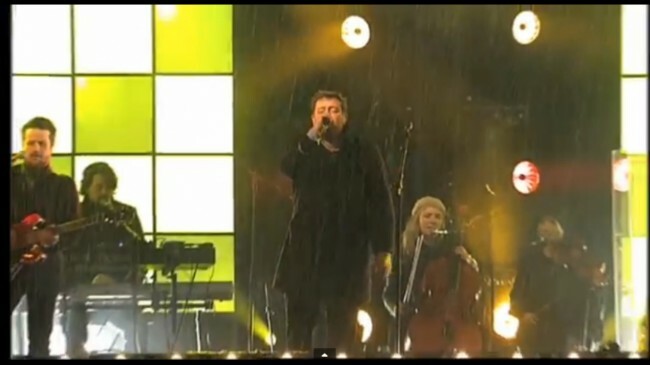 Guy Garvey and the band have the hearts of lions, and despite the Belgian December, this performance captures well the appropriate and intended séance of the season. Throw those curtains wide! Garvey is one of the few that can pull this off. We last saw it in Golden Gate Park in 2011 at Hardly Strictly Bluegrass Festival. Elbow will release its new (as yet untitled) album in the new year and tour behind it in Europe and (hopefully) around the globe. Don’t you miss it. 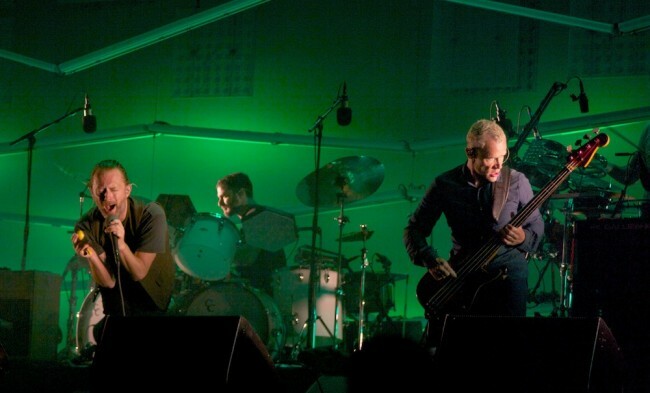 One of our Best Concerts of 2013 was Atoms For Peace’s show at the Santa Barbara Bowl. 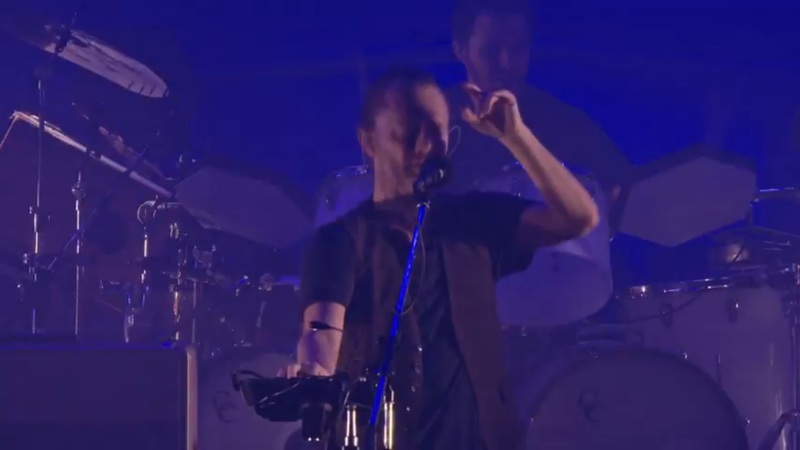 Thom Yorke, Flea, Godrich and the boys funked up the house, and the crowd danced the night away. To get a feel, check out the band performing Before Your Very Eyes live at Studio Coast, Tokyo Japan on November 23rd. Moby has made a heartwarming lyric video for his next single Almost Home, taken from his recently released album Innocents (one of our Best Albums of 2013). 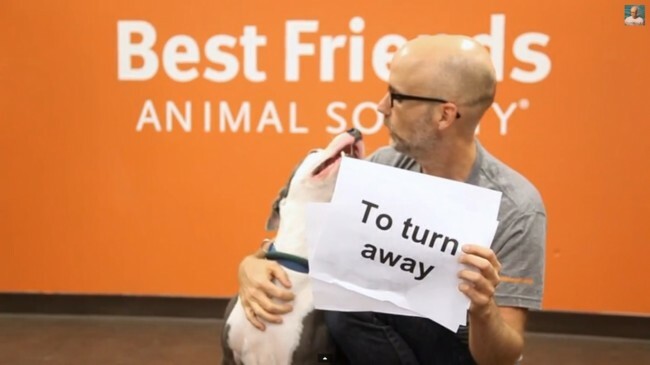 Check out this inspiring video below, which was recorded at Best Friends Animal Society in Los Angeles where Moby was surrounded by various charming dogs and cats needing good homes. Now there’s a great Christmas/Holiday gift for yourself. Sisyphus is the new moniker for the Sufjan Stevens, Serengeti, and Son Lux ensemble (formerly known as “s/s/s“). Sisyphus will release it’s eponymous debut album (partly inspired by the art of Jim Hodges), and commissioned by the Walker Art Center and The Saint Paul Chamber Orchestra’s Liquid Music series in Minneapolis/Saint Paul. The album will be released on February 14th, followed by a wide release (CD/LP/Digital) on March 18th, 2014 through Asthmatic Kitty Records and Joyful Noise Recordings. 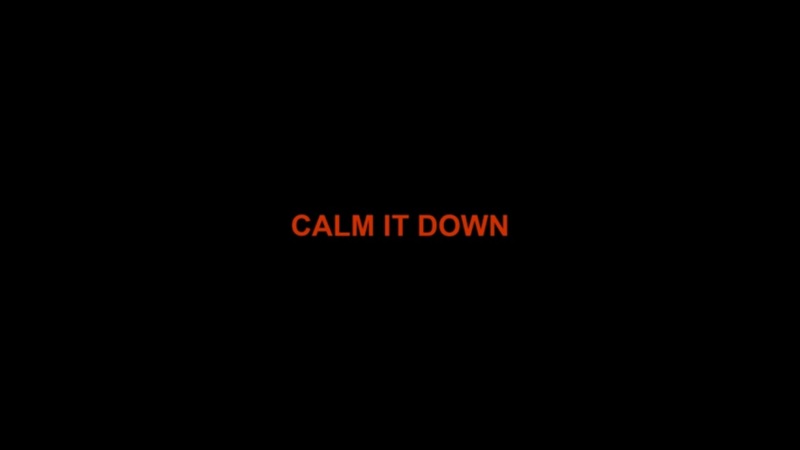 In the meantime you can watch/listen/download the official lyric video for first track Calm It Down below (the download is available at the widget at bottom). Warning: If you can’t stomach f-bombs and other explicitness, skip ahead to 2:21 in the song and let it ride for clean lyrics. Great new sounds from Sisyphus. Let that proverbial rock be ever-pushed up that mountain. Anna Calvi is a tornado of talent whose recent album One Breath is rightly on a trove of Best of 2013 lists. Calvi was an enfant-guitar wizard early-on in life in England who would later study classical music before being discovered as a talented rock-diva (with appropriate operatic vocal chops). To get a feel for her guitar-playing, watch below as La Blogothèque captures Calvi ferociously playing her song, Love of My Life, off of One Breath at the Fontainebleau Palace, near Paris. Afterwards, listen to other end of her range as heard in the newly-released, sizzling cover of lusty old Springsteen chestnut, Fire. 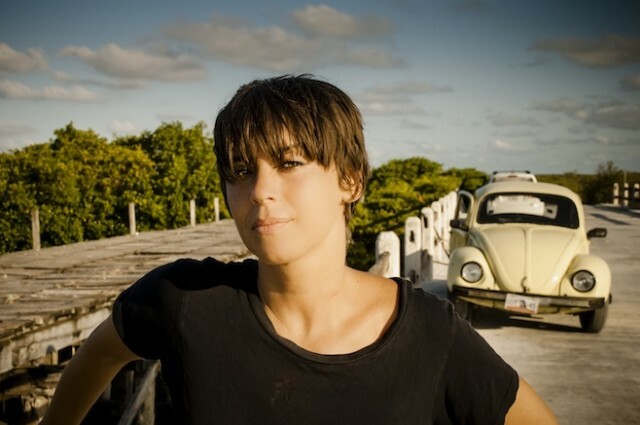 Cat Power’s Chan Marshall is one of our most gifted interpreters of others’ songs (if you haven’t heard her The Covers Record or Jukebox, they are quintessential cover albums that you should get onto your Christmas list). Here’s a little secret: we don’t watch a single commercial on television. Despite this, we can’t stop watching and listening to Cat Power’s take on Have Yourselves a Merry Christmas in the iPhone commercial below. Ms. Marshall’s had some tough Christmases over the years, which you sense in her version of the song. She’s never been able to hide her heart on her sleeve. Here’s to the happiest of holidays to one of the greats, Chan Marshall. And also with you.